Québec is a popular destination among teachers & students because it’s the cradle of French civilization in North America– immersing yourself in French culture, learning the French language, and exploring over 400 years of unique history has never been more accessible! Prométour has offices around the world, including our head office in Old Montréal, which gives us a true advantage when it comes to organizing educational student tours to Québec! Being that we call Québec our home, you can rest assured knowing that we’re the leader when it comes to creating customized educational travel itineraries to this beautiful province! 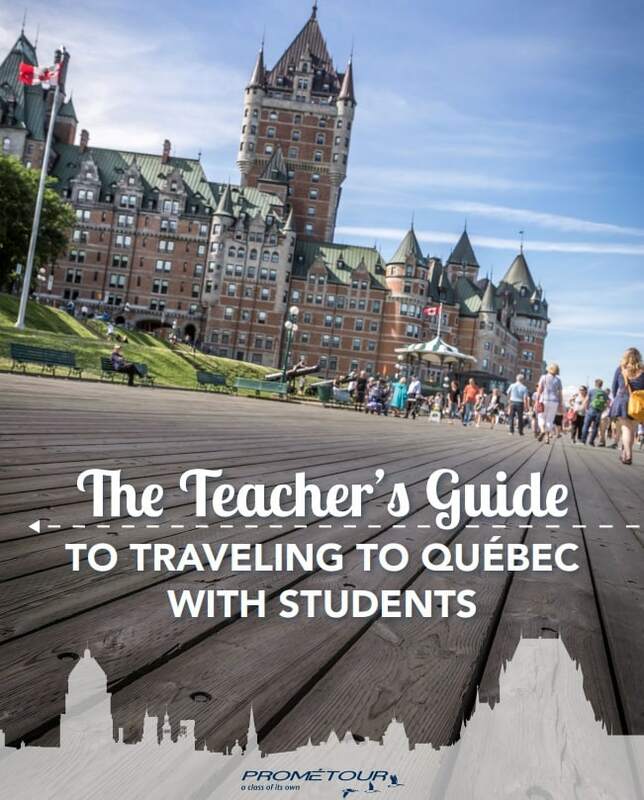 Inside, you’ll learn about all the best places to visit & unique teaching moments Québec has to offer – an idea of what it could be like traveling to Québec with your students and answers to all your important pre-travel questions to help make your trip a reality.